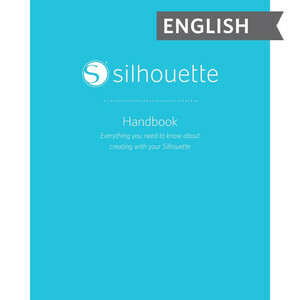 This handbook is the complete guide to everything Silhouette. With over 350 pages, this digital reference is full of helpful information on Silhouette machines, materials, software, and more. This design is available for personal use only. All digital designs are available for personal use. Some digital designs are available for commercial use also. Commercial use is defined as using the digital design in any physical project, product, artwork, etc. intended for resale. Under no circumstances are you allowed to resell or distribute the files associated with digital designs offered by Silhouette. If you plan to use your Silhouette to create products which you will sell, you must purchase a commercial license. The royalty-free license fee is a flat one-time payment based on the number of units you will produce for resale.